We have a growing list of testing products in our portfolio of products which at the present time includes force measurement and materials testing systems from Starrett with the very innovative touch-screen interface software and controllers the L-series from developer Metlogix. 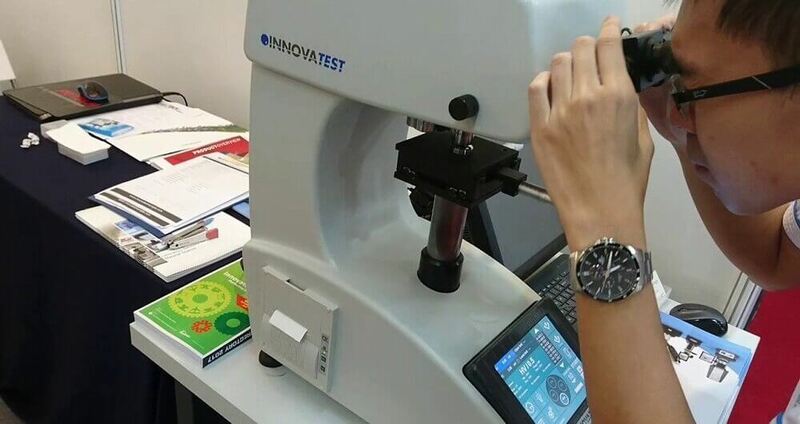 A comprehensive range of hardness testing equipment from leading European manufacturer Innovatest based in The Netherlands is also available. Starrett’s range of force testing systems are designed for a wide range of tests including tension, compression, peel strength, but strength and de-lamination testing and are being widely used in the medical, packaging, plastics and consumer products industries around the world and increasingly in Australia and New Zealand. With the innovative L2 or L2 Plus software / controller platform users can learn the touch-screen software quickly and easily and be up and running their own custom-design tests no time. Materials testing systems are also from Starrett and use the same hardware – both single column as well as dual column testing frames as Starrett’s range of force testing systems. However the materials testing systems use the sophisticated L3 software / controller platform for the recording and calculation of advanced material properties. Innovatest manufacture a full range of portable, bench-top and floor standing hardness testing equipment, including CNC stage versions. They cover the whole range of hardness testing scales including Vickers, Brinell, Rockwell and Knoop and can be specified for a wide range of materials including metals, plastics, geological and organic materials. Manufactured in Europe to exacting standards the Innovatest range allows users to experience first-hand the technology, innovation and ease of use of these high quality testing systems. If you need any more information on any of our products or services, or if you have some questions, please don’t hesitate to contact us by filling out your details in the form below and we’ll get back to you within 24 hours. Guaranteed!